Our black fairy light booth is by far the sleekest and sexiest booth of them all, perfect for parties and corporate events. It is stylish and beautiful at any event and lights up the room in the evening celebrations. The fairy lights can come in warm white or bright white and it is easy to match your decor. 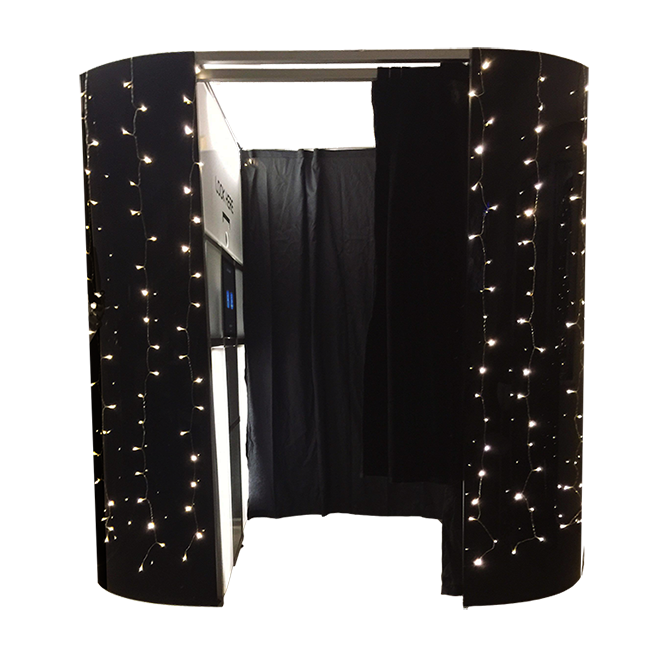 Booking our black fairy light booth will make sure your event turns heads. 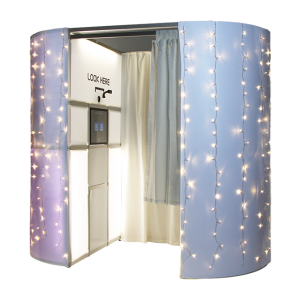 Light up the nights entertainment with our Fairy Light Booth! It comes fully loaded with unlimited prints and is guaranteed to turn heads. 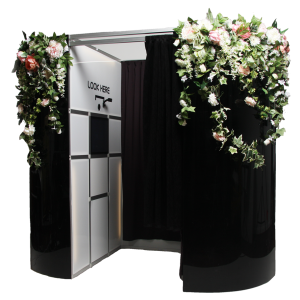 This Photobooth is a fantastic addition to any Wedding, birthday party, Christmas Do or corporate function. Wedding Guest book (all photos will print out twice. One for the guest and the other to stick in the guest book). We also provide glue sticks and pens for your guests to write messages underneath. Availability is limited as bookings are often taken months in advance, so we advise you to book early. All our Photobooths come with two friendly and experienced staff who are fully trained in the Photobooth functions and can give full advice on how get the most out of our Photobooth. They will also ensure the safe set up and take down of the booth as well as helping guests stick in their photos and fill in their message in the Photo Album. All our Photobooths come with a high quality Canon DHLR Camera, professional quality Photo Printer and Mac technology. If you have any questions about this or anything about other packages that we offer, call us on 07970 180826! 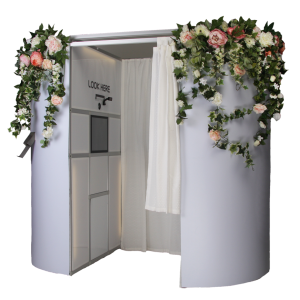 To book this Photobooth, just choose the photobooth you would like – you can even check its availability against our live diary! Our helpful and simple online booking system collects all the information we need, and we will confirm your details with an email.